A hearing loop is installed in the UPC Sanctuary and is in use by some members of our congregation. We want to be sure all of our members and visitors are aware of the hearing loop and know how to use it. To access the hearing loop anywhere in the main part of the Sanctuary downstairs, those with hearing devices will need to activate their tele-coil (t-coil) on their personal device so that hearing and understanding of the worship service can be enhanced. For those without a tele-coil device, we have several sets of listening devices with headphones available for use during the service. When entering the narthex through the front door, beside the balcony steps on the right, you will see a small chest. There will be a sign designating Headphones. An usher will be nearby to offer assistance. Please ask if you have questions. The hearing loop system is only active in the main part of the Sanctuary downstairs. 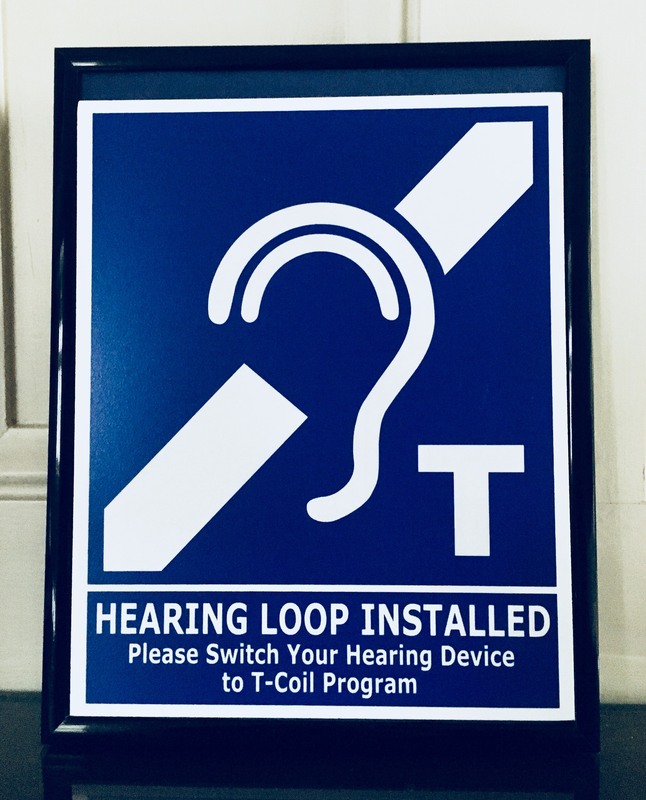 For those using a t-coil hearing device or headphones, you should be able to sit anywhere in the main Sanctuary downstairs to have hearing enhanced. The hearing loop is not available in the Chancel or in the Balcony.